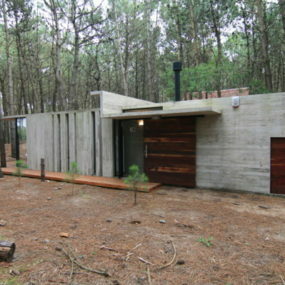 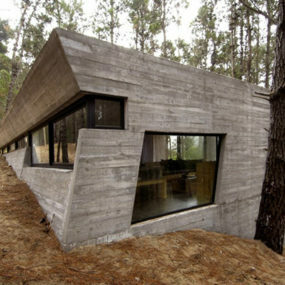 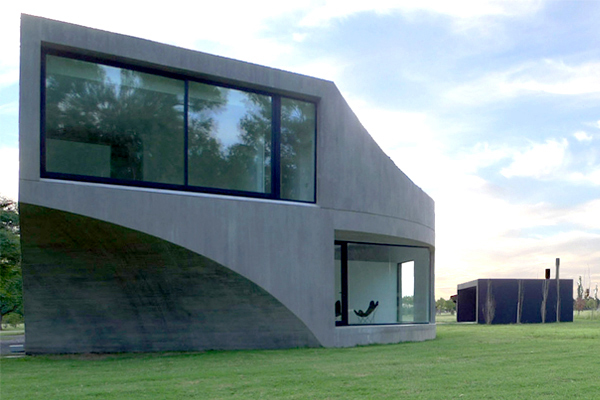 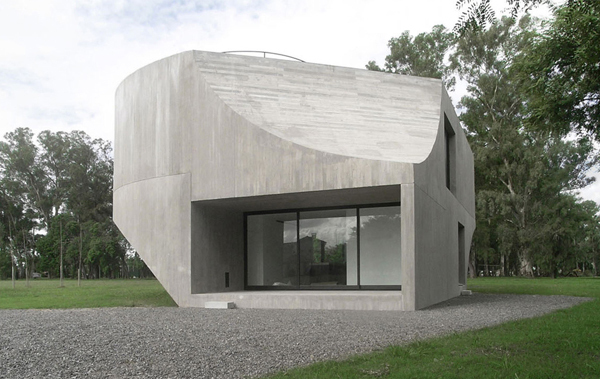 Concrete House in Argentina - a modern cast concrete sculpture! 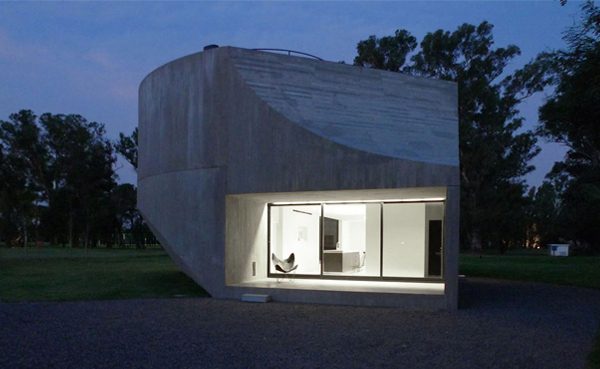 Concrete House in Argentina – a modern cast concrete sculpture! 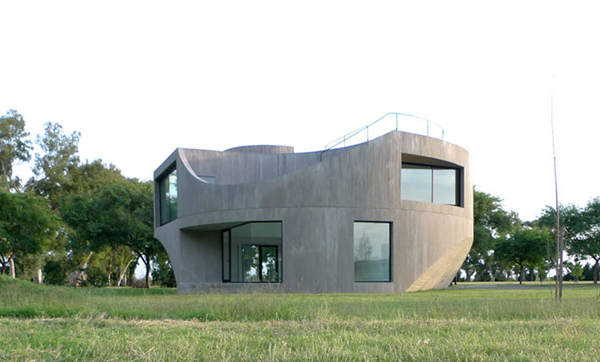 The modern View House located in Rosario, Argentina is a cool concrete house design with a sculptural form that embraces the views surrounding it. 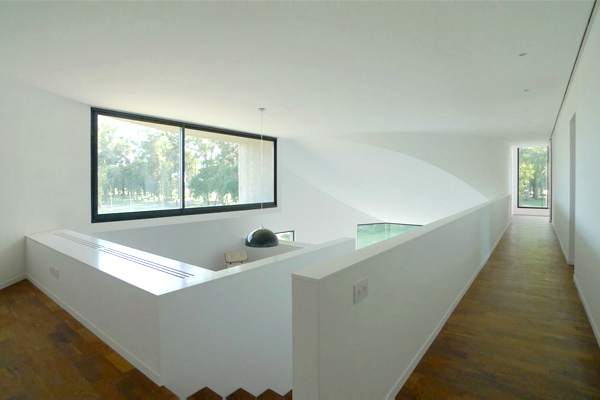 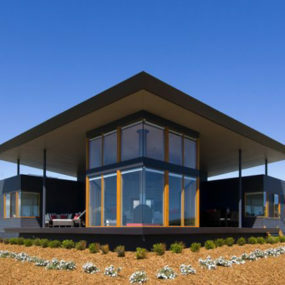 Envisioned by Johnston Marklee Architects in partnership with Diego Arraigada Arquitecto, this contemporary residential design garnered the firms an A.I.A Next Citation Award in 2004. 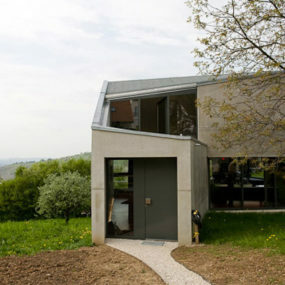 Standing out from among 350 entrants, the award-winning design boasts a very unique silhouette, featuring an irregular cast concrete contours complemented by lots of large windows to take in the serene, green surroundings. 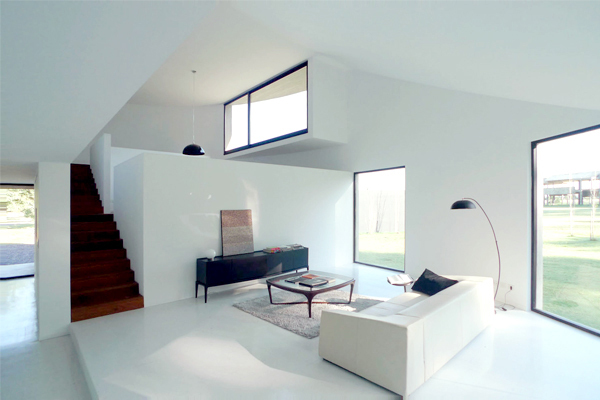 This modern two-storey house boasts a simple, minimalist interior on a backdrop of white, designed to keep the main focus on the windows and views. 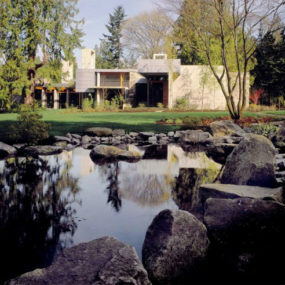 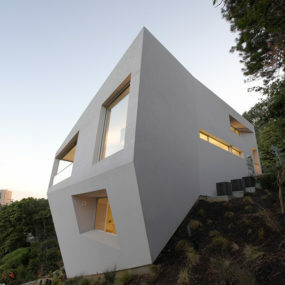 Johnston Marklee Architects. 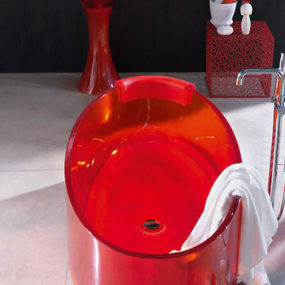 Glass Bathtub Jolie from Regia – colorful and clearly refreshing!